You'll readily see that in Valiant Hearts, it's the journey, not the destination that matters. To some extent the game captures the fear and feeling of unpreparedness for war, as your character has to be fast enough and agile enough to dodge bombs and machine fire, quick enough to think of a way to get into enemy territory without being seen, etc. These are achieved through mostly simple puzzles, with a handy hint system that tells you what to do if you've failed the challenge too many times. Oftentimes, the handy visual dialogue box that pops up is all that you need. 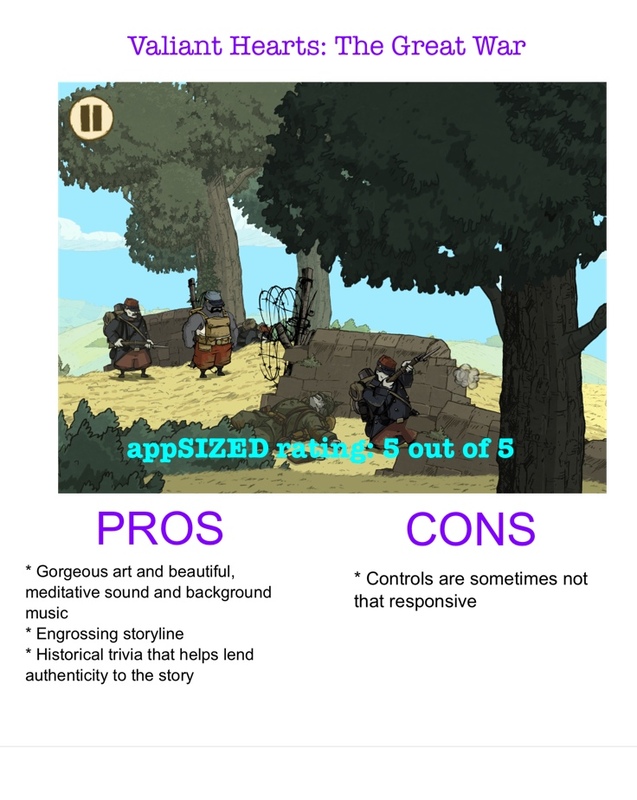 Valiant Hearts wisely uses ambient noise and occasional bursts of music (amid the gunfire and shouts) to keep things from feeling too still or relaxed. 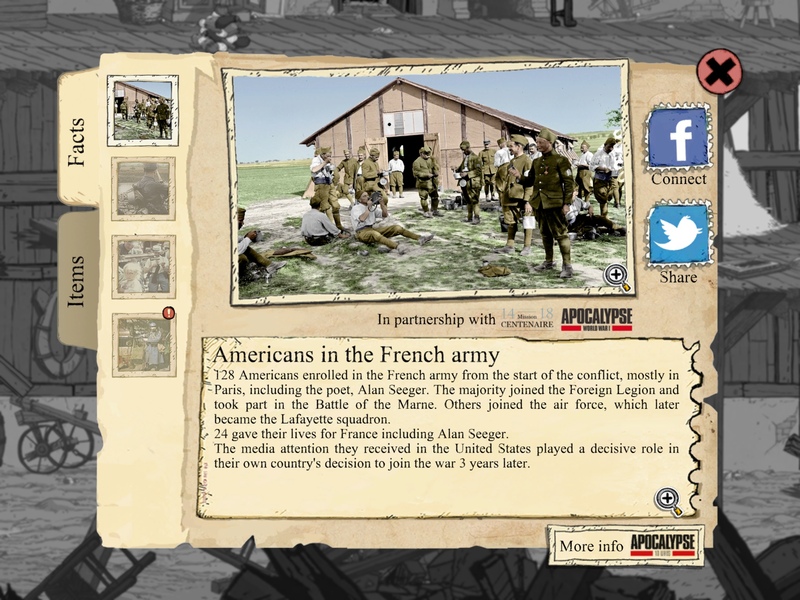 The background music, a melancholy piano, further highlights the story's context – war. The handdrawn art is just lovely and textured. The characters mumble and bark instructions in French – which you don't need to know, but adds a touch of authenticity to the scene. (Ironically, the voiceover of the main characters, such as French uncle Emile, are done in English) Speaking of authenticity, major events reveal historical trivia now and then, which is pretty useful to know. The story continues in downloadable episodes in the form of in-app purchases (IAP), which you can buy at your own leisure. 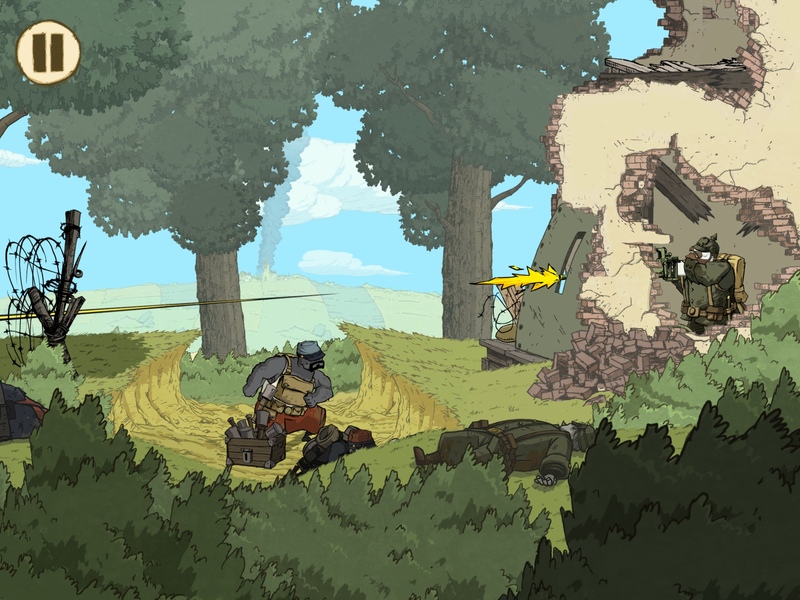 If you are looking for difficult puzzles, Valiant Hearts might not be your cup of tea. Puzzles in the broader context of a historical adventure are mainly there to move things along. In the early part, you will find a fair bit of Angry Birds type gameplay to hurl bombs and bottles and whatnot. Some puzzles just require you to move along. While the game is nearly flawless, I find that handling the touch screen controls can sometimes be a hit or miss experience. Characters are a bit slow in their movvement, putting the emphasis on precise timing and moves. This is fine but sometimes it bogs down and sometimes slows me to a grinding halt. 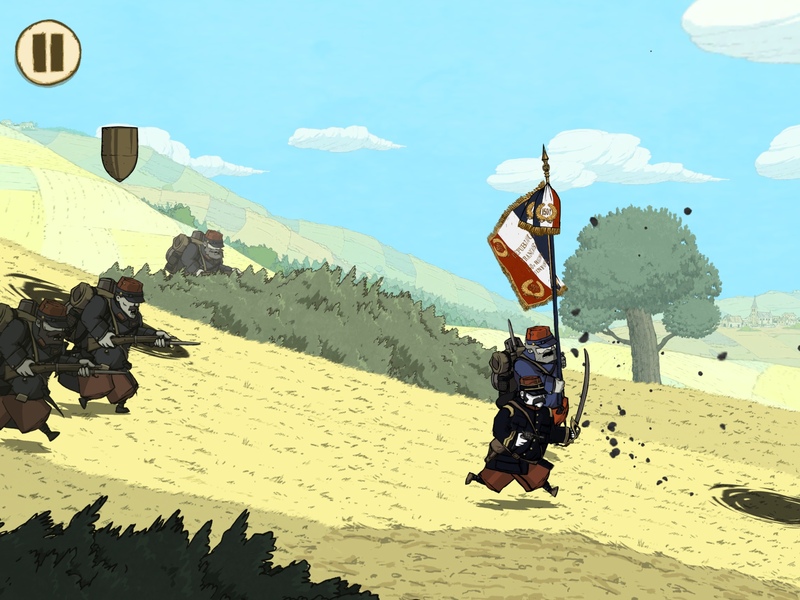 Valiant Hearts is overall, more of an immersive experience than just a plain old adventure. It's a heartbreaking story that is all too painfully familiar since it is grounded in history. It takes us to an oft forgotten place and time where ordinary people were caught up in something much bigger than themselves, and through grit, grace and sometimes sheer luck, survived. Review copy provided by the developer/publisher.